Oh so pretty! 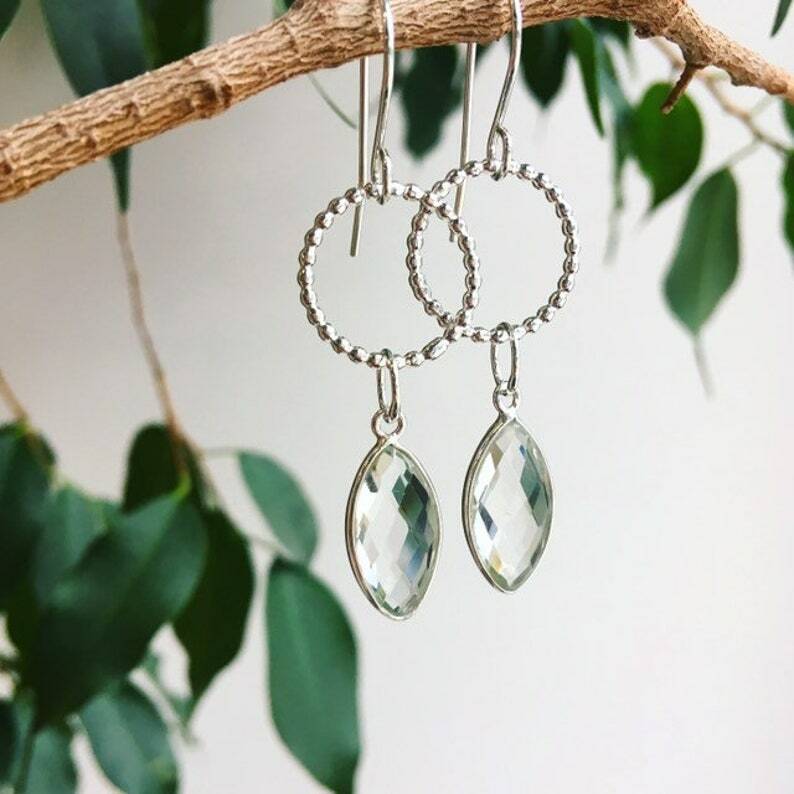 Silver and Quartz earrings handmade in Upstate NY. These amazing earrings are made with 925 Sterling Silver! Pure crystal quartz looks perfect on these carefully handmade silver bead circles. The quartz is a marquee shape, you will receive the exact pair of earrings shown here. The perfect pair of fun Sunshine On Water earrings for springtime! Your Sunshine On Water earrings will come wrapped in a gift bag along with a polishing cloth to clean your silver jewelry with- if needed.